Following in the wake of Legion earlier this year, The Gifted is Fox’s latest contribution to the X-Men franchise, in partnership with Marvel. Officially, it’s connected to the film series but set in an alternate timeline where the X-Men have disappeared, along with their archenemies the Brotherhood. Functionally, it’s just like the movies, a cinematic universe in name only. Personally, I figure I’ll just enjoy it as its own independent story. In the wake of whatever happened to the X-Men, things have not gotten better for mutants. Outcast, hated, and hunted like terrorists, life as a mutant is rather terrifying right now, especially in the United States, where public fear has given the government license to do whatever they like. There is a movement, a loose connection of mutants referred to as “the Underground,” which helps mutants in trouble get to safety in other countries, but without either the respect garnered by the X-Men or the fear created by the Brotherhood, it’s especially dangerous to be different right now. Enter the Strucker family, no confirmed relation to any other Struckers in Marvel. Reed is a district attorney, and apparently one who specializes in mutant-related cases. He’s been working to build a case against the Underground, for the good of public safety, and thus the safety of his family. While he sees something wrong with how things are, he’s trying to make the best of a bad situation. His wife Caitlin struggles just to balance her work as a nurse with her personal life with Reed and their two children. She’s less dominant than Reed, but make no mistake, she does love him and she will protect her children. Fortunately, Reed has an ace up his sleeve. He pulls some strings to get in touch with the Underground, and he offers a straight-up exchange of services. If they help his family escape to Mexico, then he will help them rescue their most recently-captured member, Polaris. It’s even more compelling because she is pregnant, and the man he speaks with is the father. So, whether they like each other or not, the Struckers and the Underground are quickly wrapped up in the same mess together, because two men are simply fighting to save their families. That’s a pretty powerful setup, I have to say. A climate of fear, statism run rampant, people with abilities blamed for things they are not responsible for and made to disappear, the awful nature of bullying, and the importance of family, all of that is wrapped up within the first episode alone. Not a bad introduction! 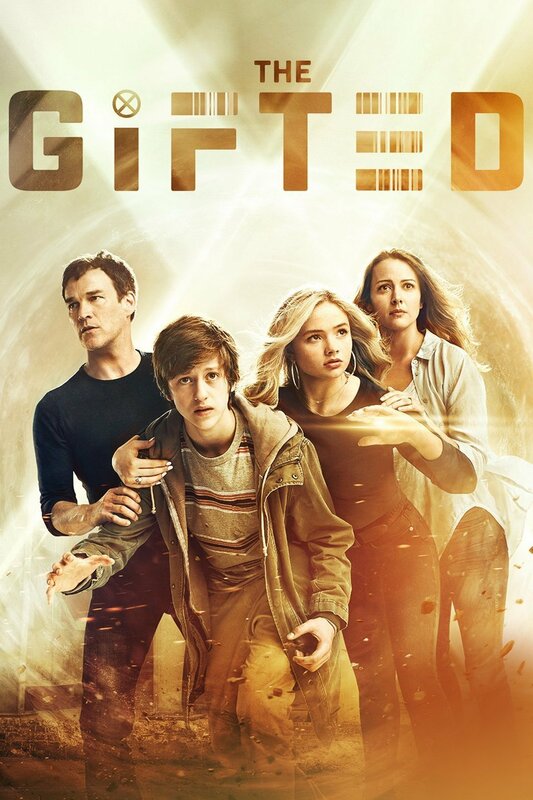 Between the action, the drama, the social commentary, the characters, and everything else, The Gifted has definitely earned a place in my lineup. If they keep going like this, it could prove an impressive show in its own right. Rating: for now, I give it 9 stars out of 10. This entry was posted in This Week on TV, Tuesday Review, TV Shows and tagged The Gifted, X-Men. Bookmark the permalink.